Many of you know yesterday was my last day at State Road Family Practice. It was a very emotional week for me! I’ve been there nine years and made many friends. Some of my patients are now my friends! (You know who you are, LOL!) Job change is very stressful and it’s really tough to say goodbye to all my coworkers. For those who don’t know why I decided to change positions, I’ve felt for the last year or so that I needed to simplify my work responsibilities. At State Road, I had a thriving office practice, took care of hospitalized patients every third week, and cared for almost 100 nursing home patients with the help of 3 nurse practitioners. My boys are growing and I felt I needed to focus on just one aspect of my career for the time being. Doctoring is a difficult profession at the best of times and always feeling as though I was missing my children’s childhoods was really tough for me. After evaluating all my options (and interviewing at three local hospitals) I found a position that gave me the best opportunity to create a better work-life balance. So how do you handle a job change when you really don’t want to mess up good relationships and friendships that you’ve built? I’ve thought a lot about that over the last few months and have come up with three suggestions. No matter how your relationship with your employer is, keep your negative opinions (if you have them) to yourself. Badmouthing your employer is not classy behavior and may very well get back to your new employer as well. It’s OK to be excited about your new position but it’s not OK to use the new opportunity to put down the old company. Make sure to be proactive about transition concerns. If you have a pension, 401(K) or other retirement plan, contact the company liaison to see if there is paperwork to fill out. Don’t wait until the last minute to submit expenses for reimbursement. If you have earned a bonus or other special compensation, be clear with your employer or HR department about how your departure will affect it. You don’t need to run right to an attorney, but unfortunately sometimes you do need legal advice. “Do unto others as you would have them do unto you.” This is great advice in business as it is in private life. Who is taking over your position? Make THEIR transition as easy as you can possibly make it. Finish up projects and paperwork, label your files, and get all your reports submitted before your last day. Then you can really feel good about the transition and leave with your head held high, not like you’ve created extra work for someone else. I have updated my contact information in the “Contact Me” tab above. If you need to reach me please feel free to call or email! Happy Memorial Day everyone! This is the official start of summer, and the official start of grilling season! Sitting on the deck or patio while Mom or Dad presides over a glowing bed of coals, waiting impatiently for the charcoal-scented goodness to hit the picnic table. Yummy! With all the possiblities that balmy summer evenings have to offer, why would you limit yourself to hot dogs and hamburgers? 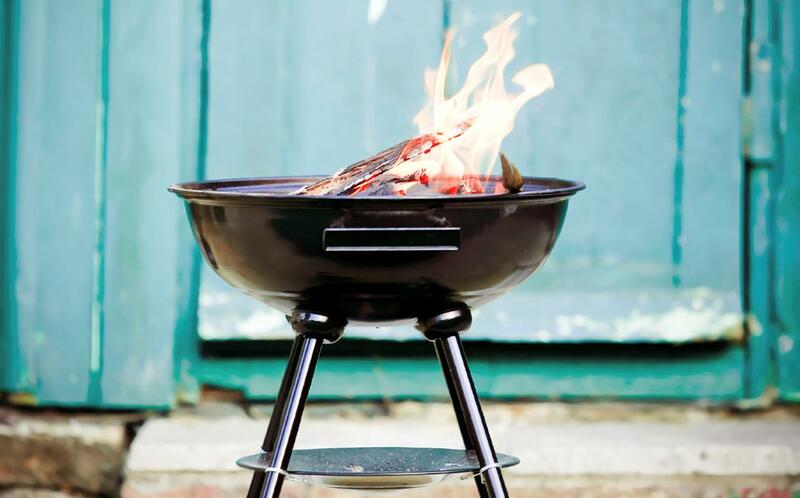 Here are a few ideas of foods to grill you might not have thought of before! Pizza is AWESOME on the grill! You will have to shape your pizza crust to fit your grill, of course. Have your toppings cooked before hand, and cook your crust solo. Flip it so it’s evenly heated on both sides, then add your toppings and sprinkle on the cheese to hold it all together. Close the grill to reflect heat back down on the top (rotating the crust every minute or so to prevent burning), finish cooking and melting the cheese, then serve and enjoy! Sturdy veggies are the best for grilling. Try cutting big pieces of bell pepper, Vidalia onion, zucchini, yellow squash, asparagus, Brussels sprouts, sweet potato slices, and other firm vegetables. Make shish kebab or put them in a grill basket to keep them from falling in the coals. Grilled fruit is a wonderful summertime dessert. Try pieces of pineapple, strawberries, sliced peaches, bananas, apple slices, and pears. For a real treat try hot grilled fruit over a scoop of ice cream! Just a word about food safety when grilling. Be sure that food moves from the raw-food plate to the grill to the cooked-food plate. NEVER put cooked food back on the plate that brought it out from the kitchen to the grill. Have a wonderful weekend, be safe, and eat well! QUESTION: Are you going to grill this weekend? What will you cook? Hi, everybody! I’m writing from Roseville, California this weekend. My cousin got married last night! As I was thinking of topics for this weekend’s post it occurred to me that we often have a hard time with weight control this time of year. It’s tough staying on track at special events! Do you find wedding season a challenge? Graduations, weddings, first communions, all these joyous occasions seem to have big potential to throw our weight loss efforts off track. Here are some suggestions for keeping your momentum at special events. Keeping hydrated will both combat cravings and hunger AND keep your energy up. Whether you’re traveling or spending time with friends it’s easy to lose track of your water intake. Carry a water bottle with you and sip on it all day. Watch your urine color – light yellow or clear is good, dark yellow means your body needs more water. At the buffet make sure more than half your plate is full of healthy options. It’s OK to indulge a little but filling your plate with roasted vegetables and a green salad before adding higher-calorie items will help crowd out the foods that will derail your weight loss efforts. Sweet treats are part of special events! Just don’t go back for seconds and thirds! If there is an enormous piece of cheesecake calling your name, split it with a friend so you each can enjoy without piling on the calories. A pint of beer can contain upwards of 200 calories, depending on the type. Needless to say, those calories can add up quickly if you’re not mindful of how much you’re drinking. Wine has about 125 calories per 5-oz glass, and mixed drinks can be VERY expensive in terms of calorie intake. Dancing is great exercise! According to self.com, a 160-lb person burns about 170 calories in 30 minutes of social dancing. While that may not sound like much, it all adds up. And dancing releases endorphins to make you happy! Not to mention all the photo ops, LOL! The spring and summer wedding season brings some challenges for those of us working on weight loss but it doesn’t have to derail our efforts. Be sensible, stay active, and have fun! Believe it or not, patients ARE allowed to disagree with their doctors. This concept is called patient autonomy, and addresses patients’ right to make their own decisions. Sometimes it’s a REALLY tough pill for the doctor to swallow though! I was in the ER today with a good friend of mine. She was quite sick, and in a lot of pain. We were blessed that the doctor was able to figure out what was wrong and gave her medicine that made her feel better. However, she did not take his recommendation on what to do from there. In spite of the strongest possible recommendation from the ER doctor (and me, too), she chose to do something else. Her decision was the right one for her. Doctors are taught to analyze symptoms, ask lots of questions, examine the patient, order tests, use the results to make a diagnosis, and then make recommendations for treatment based on that diagnosis. We find it very logical to proceed from symptoms to diagnosis to treatment. Sometimes our treatment recommendations don’t fit what’s going on with the patient’s life. Sometimes the timing isn’t right. Sometimes the patient can’t afford the recommended treatment. Whatever the reason, patients have every right to choose NOT to take the doctor’s recommendation. Sometimes what seems like the obvious choice to us is simply not workable for the patient. As long as the patient is mentally able to make a complex decision and understands the risks of NOT taking our best medical advice, we are ethically bound to respect their decision. Just because we don’t agree with it doesn’t mean we don’t respect it. My friend is a subscriber to my blog and I know she will read this post. That’s OK, because my writing is almost always prompted by what’s going on in my life. My readers are patients (mine or someone else’s) and they need to know that their right to make their own decisions based on their values and life experience is sacred in medicine. I might try to talk you out of making a decision if I don’t agree with it, but once the decision is made I will be the first to support your right to patient autonomy. And then I’ll worry and fuss and call and pray until you’re feeling better! One of my patients came to see me the other day, Denise. She has about 40 pounds that she is desperate to lose. She also is a big fan of a certain TV personality who has lots of advice on dietary and weight loss supplements. Denise asked me about two supplements mentioned in recent shows: 5-HTP and Garcinia cambogia. She isn’t the first one to ask, so I thought I’d look into it. 5-HTP, also called 5-hydroxytryptophan, is an amino acid produced from tryptophan. It is a precursor in the production of serotonin. Oral supplements of 5-HTP will cross the blood-brain barrier, whereas serotonin will not. Small, short scientific studies suggest that 5-HTP is effective for modest weight loss (the longest study I saw was 12 weeks and participants lost an average of 5% of their body weight). It appears to decrease appetite and help people feel full more quickly when eating. 5-HTP also seems to be helpful in the treatment of depression, anxiety, migraine and fibromyalgia. For weight loss, 5-HTP is usually dosed 300 mg 3x daily. However, 5-HTP does interact with several medications. You should check with your doctor for specific advice whether 5-HTP is safe for you to use. The other supplement, Garcinia cambogia, is produced from the rind of the fruit of a plant grown in Indonesia. The active ingredient is hydroxycitric acid (HCA). Studies are mixed for the effects of Garcinia cambogia on weight loss. I found no large, well-designed studies that show consistent efficacy for weight loss, in spite of all the hype. The best evidence is for a modest effect (8.2 lbs lost vs. 5.3 lbs on placebo in over 12 weeks). The most concerning problem with Garcinia cambogia supplements, however, is the lack of quality. ConsumerLab.com tested 13 commercially available products and found that 7 of them did not pass the tests. One product had only 14% of the claimed amount! Many patients struggling with obesity are desperate to do anything they can to make the weight come off. The problem is that supplements have risks, which are not well understood, and companies eager to make money by selling popular supplements are not always scrupulous about quality testing on their products. I am blessed to work with one of the finest and most ethical supplement companies in the world. Please check here to find out more.